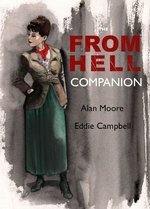 News / Rediscover a masterpiece with THE FROM HELL COMPANION, out now! At long last! 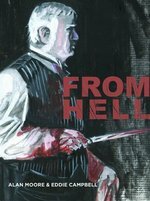 After ten years of labor to produce the original From Hell graphic novel, followed by nearly fifteen years of international success and critical adulation, British comic-book geniuses Alan Moore and Eddie Campbell have returned to revisit their masterpiece of Victorian murder and madness. Behold: The FROM HELL Companion. 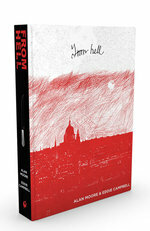 288 pages of Alan Moore's original scripts and sketches, suffused with art and commentary by Eddie Campbell. As the critics say, it's "an essential complement to From Hell."